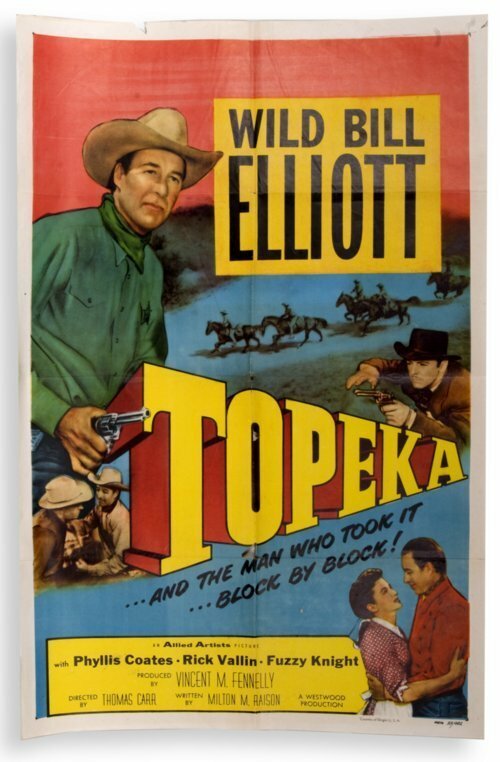 One-sheet poster for the film "Topeka." Printed on lightweight white paper. The film starred Bill Elliott as a bank robber who changes his ways and decides to protect his town from a rival gang. It premiered in 1953. This poster is part of a large collection of Western film posters donated to the Kansas Museum of History in 2007. All of the posters represent films with a Kansas connection.